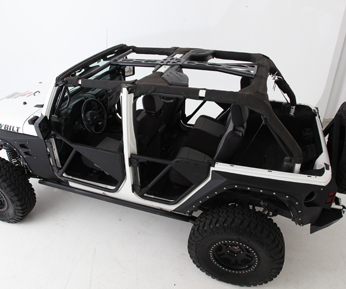 Smittybilt SRC Cage Kits available for the Jeep Wrangler TJ & JK! The all new reinforced Smittybilt Jeep Wrangler SRC Cage Kits come with everything you'll need to strengthen your factory roll bar into a solid foundation if a roll over takes place. We start off with 1020 .120 Wall DOM tubing which is one of the strongest materials available. 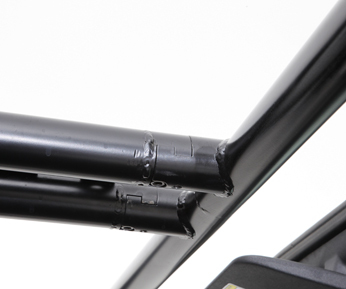 Each Smittybilt Jeep Wrangler SRC Cage Kit includes the NEW Knuckle System that attaches to the factory roll bar, using a unique pivot and fastening point which will be one of the strongest and the most solid mounts available for your Jeep. 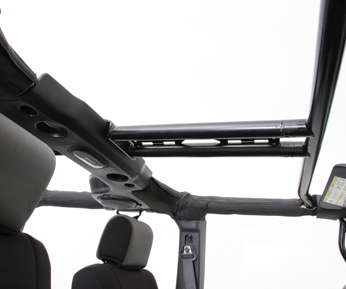 All of the Smittybilt Jeep Wrangler SRC Cage Kit were engineered to bolt-in and require no modifications to the vehicle to ensure a rock solid install while creating the strongest cage kit available.